While troubleshooting Google Analytics, have you ever wondered if the tracking code was installed correctly? Getting “can’t verify” messages from Google? Well, one of the first troubleshooting steps is to make sure you have the Google tracking code installed on the page you tell Google to check for it at. One way to check to see if it the tracking code is present is to simply view the page in a browser and perform a “View Source”. Look toward the bottom of the page for the tracking code and make sure it has your unique tracking id in place. However, I just came across another way of doing it using an Add-on for the Firefox browser. If you don’t already have Firefox, you may want to give it a try. It can co-exist with IE just fine and Firefox provides a more secure, faster browsing experience. If you use Firefox, you can download and install a nifty Add-on called GA? – Is Google Analytics Installed. It works with Firefox Browser versions 1.5 – 2.0.0.8. 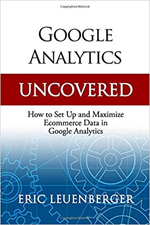 Keep in mind, this will not tell you if Google Analytics (as I speak about it in this blog) is correctly and completely installed, it will only tell you if the tracking code is properly in place on the page(s) you specify. However, that is the first step in troubleshooting installation of Google Analytics, and this tool may help save you a little time.